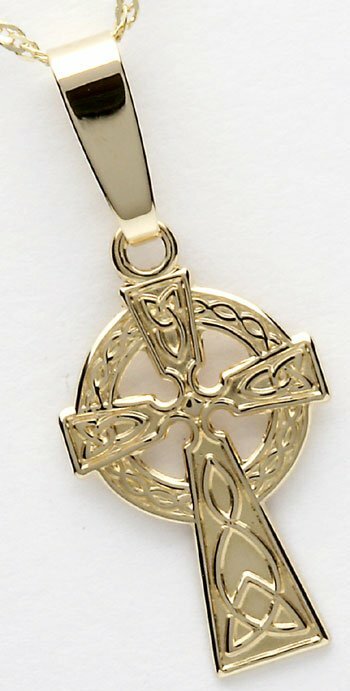 Beautiful ladies small yellow gold Celtic cross with rich Celtic knot decoration. Available in 10k yellow gold and measuring 23mm high (not inc. bale) and 10mm wide. Fitted with an 18 inch yellow gold chain. Handcrafted in Dublin and hallmarked at the Irish Assay Office in Dublin Castle.